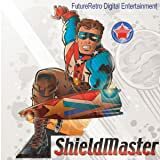 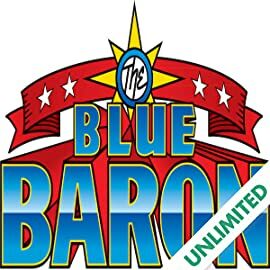 For more than two centuries, the Blue Baron has conquered alien invaders, maniacal mutants and super-powered psychopaths but will he be able to conquer -- 8th grade?! 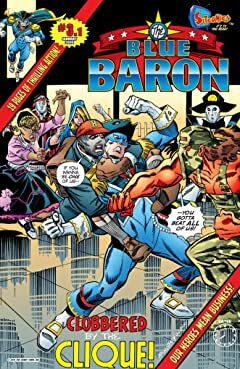 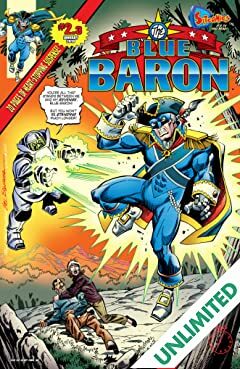 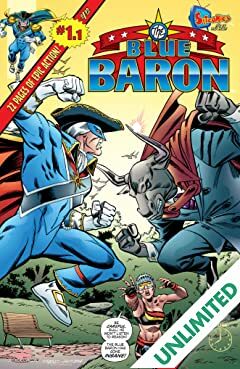 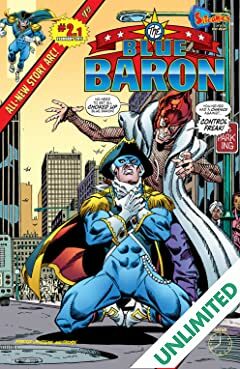 Sitcomics proudly presents The Blue Baron #1 - a bodyswap comedy with super-powers that shows what happens when a 300 year old hero switches bodies with a 13 year old zero! 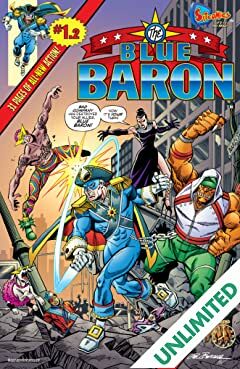 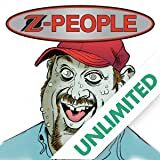 Written by TV sitcom veteran Darin Henry (Seinfeld, The Ellen Show, KC Undercover) with art by industry legends Ron Frenz (Spider-Man, Spider-Girl, Thor) and Sal Buscema (Hulk, The Avengers, Captain America), The Blue Baron #1 serves to introduce comic book fans to a whole new shared universe of heroes and villains. 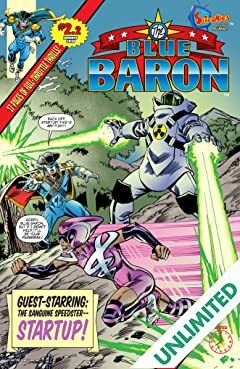 Sitcomics believes that 21st century readers deserve to read about 21st century heroes and once you've read this 64 page self-contained epic, we think you'll understand why we say that Sitcomics is TV you read!